It's now time to mark your calendars for the 2017 fly-in, hosted by SureFlight in Coatesville, PA (near Philidelphia) September 29 - October 1, 2017. Stay tuned for additional details as we get closer, but mark your calendars now for what will be a great event next fall! PROP 2016 is complete with great turn out, briefings and a chance for the owner/operator/maintainer community to catch up with old friends and make new ones. Many thanks to TAS and MHIA for their support and effort in putting on a first class event and to the many sponsors whose support made it possible. Special thanks to Pat, Rick and the rest of the Turbine Air Services team for their decades of dedication and support to the MU-2 community. The January 2016 (issue #9) of MU-2 Magazine is now available for download from the articles page of this website. Roger Caudill has agreed to conduct an M4 autopilot inflight troubleshooting discussion at the Cincinnati PROP. The presentation will be on Friday, April 29 at 8:00 AM and last about 90 minutes (ending just before the regular PROP program begins). It is open to all PROP attendees at no charge. To attend, please email Carol Cannon at Turbine Air for headcount purposes. Registration is now open to attend the 2016 PROP sessions: Dallas (April 1-2), Tucson (April 15-16), Cincinnati (April 29-30). MU-2 is the AOPA Pilot Covergirl! The MU-2 and our community have been featured in the January 2016 AOPA Pilot magazine. Note that this is the "turbine edition" of the magazine sent out to pilots expressing interest in that edition and not the normal edition. You can find a copy of the story on our articles page. A new simulator which supports combined in-airplane and flight training device training is now available. See a video overview of it here. Mitsubishi has confirmed the following locations and dates for P.R.O.P. in 2016: Dallas (April 1-2), Tucson (April 15-16), Cincinnati (April 29-30). For additional details, visit their website or the PROP Facebook page. Mitsubishi #1 in AIN Online's 2015 Survey...Again! AIN's annual product support survey is complete. Once again, Mitsubishi and the MU-2 have gotten the highest marks with the plane rated #1 in turboprops with the #1 satisfaction rating of all aircraft. Congratulations Mark James of Intercontinental Jet Service Center for being recognized as "Above and Beyond" as well. You can read the survey results here. Turbine Air now has the great MU-2 merchandise (normally available for purchase only at P.R.O.P.) available in their online store. P.R.O.P. 2016 will take place in a little over a year. If you are questioning whether or not to attend P.R.O.P., our friends at Mitsubishi and Turbine Aircraft Services have produced a video that tells you why you SHOULD attend the event. Even if you are not an owner/operator but are considering purchasing an MU-2, attending P.R.O.P. is highly encouraged and viewed by many as a "can't miss". Revisions to the authorized Mitsubishi "Blue Checklists" were been approved by the FAA and mailed to all registered owner/operators by TAS. The revisions require replacement of selected pages in the blue binders by opening the white rings, replacing the pages and then closing the rings again. All owner/operators are requested to confirm the annunciator/warning light configuration in the new pages with their aircraft configuation. If not the same, keep using the old pages and contact Rick Wheldon at TAS to discuss the differences. If your checklist does not have a diagram matching the annunciator panel on your emergency and abnormal procedures tabs, you are missing the latest revision. To celebrate the 50th anniversary of the MU-2, Mike Laver flew a customized Platinum Edition Solitaire around the world. He was accompanied by Mike Collins (from AOPA) who documented the journey for AOPA Pilot. The highlight of the trip was a landing and visit to Nagoya, Japan, on the 50th anniversary of that first flight (September 14th). Details of Mike's trip can be found on the Around-the-World page. Congratulations on the accomplishment! 50th Anniversary of the MU-2! September 14, 2013marked the 50th anniversary of the first flight of an MU-2 at Mitusishi's Test Facility in Nagoya, Japan. Over the last fifty years, other manufactureres have built planes that are faster or roomier or more financially successful, but NO manuracturer has ever built a plane that rivals the MU-2 series for its ability to accomplish its mission more efficiently, reliably or effectively. Please join us in celebrating this occasion. MU-2 Mailing List Alert for AOL Users! It appears AOL is blocking all email from mu-2aopa.com (including our mailing list). Near as we can tell, they are treating the mailing list as a source of spam and simply blocking it all. Unfortunatly, there is nothing we can do to prevent them from doing this. Those of you with AOL accounts can still access the forum, and it MAY be possible (emphasis on the MAY) to whitelist the domain to get emails through, howerver AOL historically blocks all kinds of valid traffic in the name of blocking spam. If you are an AOL user and have stopped receiving mailing list messages, I encourage you to contact AOL about the problem. The Mitsubishi Pilot's Online Group operates an email list for owners, operators and those with an interest in the MU-2 (including potential buyers). This is a closed mailing list to avoid spam and is fully integrated with the closed part of our forum to permit access via either an email account or this website's forum. To join the list, click here. 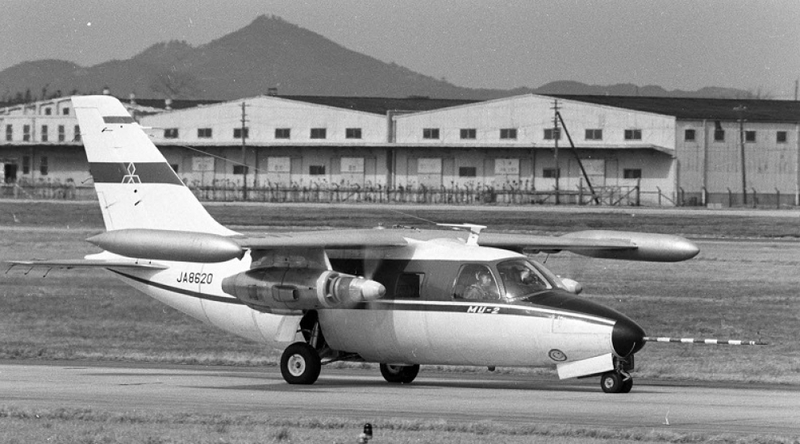 The MU-2 has emerged from controversy to rebirth as a highly desirable turboprop. This is largely a result of its now being operated by responsible Part 91 and 135 owner/pilots embracing standardized training, high maintenance standards and disciplined flying. The new regulatory structure is welcomed by the current generation of owner/operators and the manufacturer who see additional safety and value as a result of the SFAR (Special FAR) and related regulations. The MU-2 has always had Very Light Jet (VLJ) performance and operating economy but, as contrasted to VLJ's, is available today with proven systems and over 1000 pounds of full fuel payload. 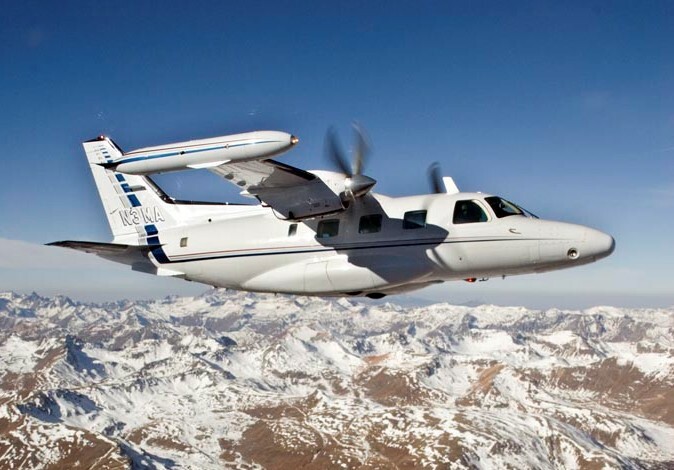 It has been over twenty years since the last MU-2 was produced, but it remains the standard in performance and reliability among turboprops. MItsubishi Heavy Industries has been consistently recognized as providing outstanding support to the MU-2 fleet.